The first episode is officially here! Join Baxter Colburn as he talk with Forward Madison Managing Director Peter Wilt and FMFC player Don Smart. Fans will also meet Maddie Kumm, the shows remote correspondent, as she gets ready to tackle player interviews every week on the show. Have a comment about today's show? 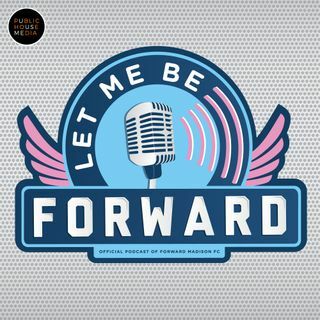 You can contact the show via email: letmebeforward@gmail.com or on Facebook/Twitter/Instagram @letmebeforward.